This beautiful conference room cabinet opens to reveal a 48" x 48" Magnetic receptive porcelain on steel dry erase board, two natural cork bulletin boards and a flip chart holder. 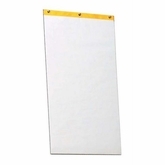 The magnetic porcelain steel dry erase boards can be written on with colorful dry-erase markers and easily wiped clean. The dry erase boards are porcelain on steel so they will also accept magnetic accessories. 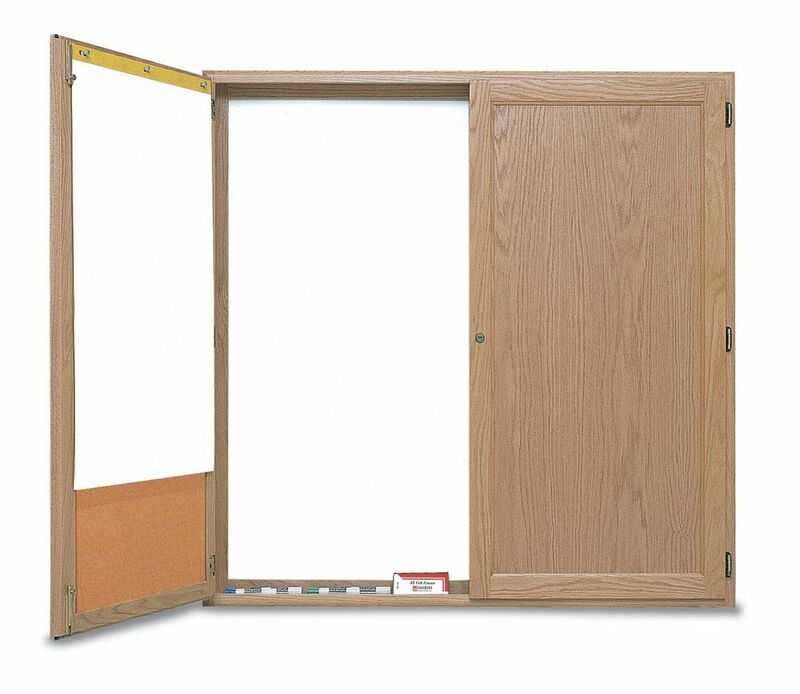 The Oak framed conference cabinets feature doors with book matched panel inserts. For additional safety, the unit is equipped with a 5-pin tumbler lock. 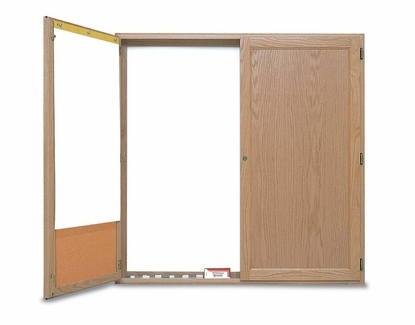 The conference room cabinet doors are hung with three heavy-duty self-closing adjustable hinges. Standard accessories include four pro-rite markers, one eraser and flip chart pad and the door lock. 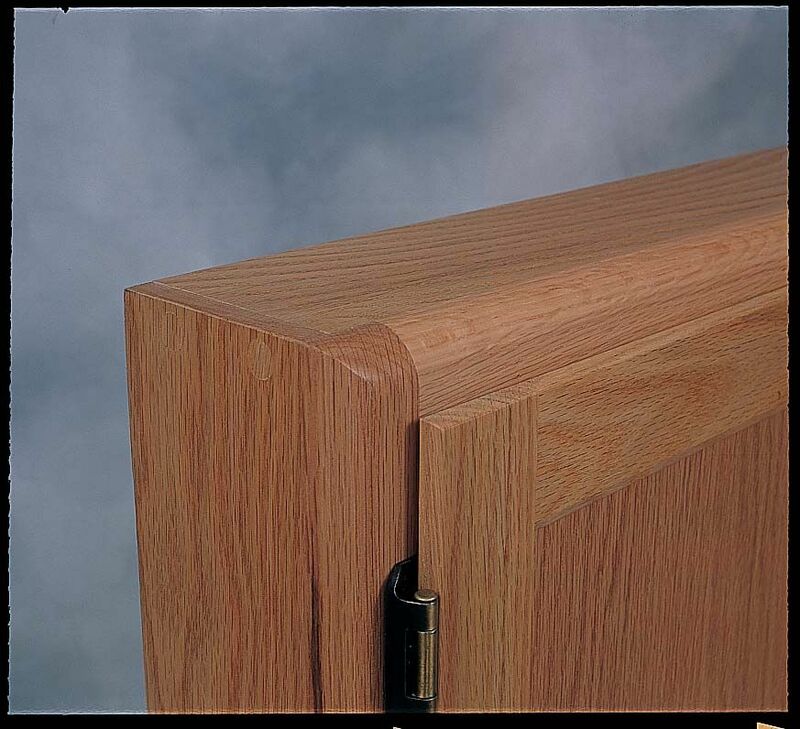 These cabinets are available in: Natural Oak, Walnut Stain, or Mahogany Stain. You may also order them unstained so you can may paint them or match your office stain in-house. All units come with locking doors. Pull-down projection screens are an option. Need more writing space in your conference room cabinets? Put dry erase boards on the interior of both doors instead of the cork tack surface. Order the "SP" units. 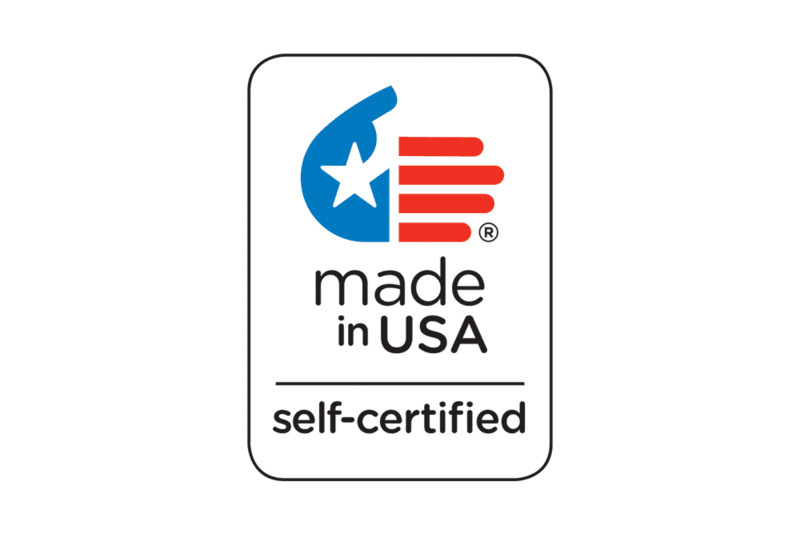 Notice: All of our conference room cabinets are custom made to your specifications and therefore are not returnable. Please see our frequently asked questions for more details. Wood samples are always available free of charge. Contact customer service for assistance.